Why Create a Practice Space? 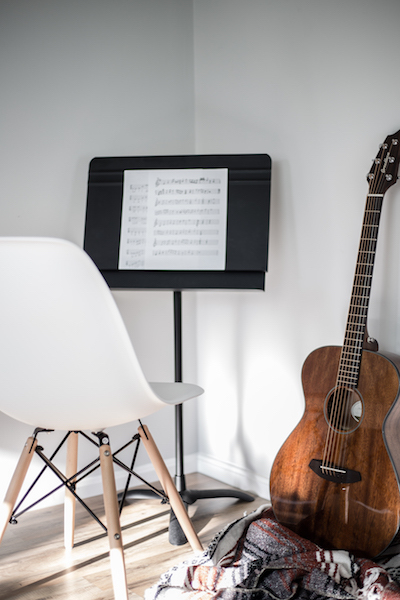 Having your own practice space can make it easier for you to accomplish your practice goals. Habits are easier to form when the environment used to create them is consistent and goal-supportive. Just as it is difficult to quit smoking when your friends all smoke, so it is easier to practice consistently when you’ve created a small space for yourself to practice in. Your environment supports the desired outcome. The ideal practice space is different for every guitar player. On one hand, some players practice while sitting on the edge of their bed. And on the other end of the spectrum, some insist on practicing in a dedicated soundproofed guitar shrine. The particulars of your practice space will depend on your own requirements. At the very least, you’ll want a place that is free of distractions, that supports good posture and ergonomics, and that has all of the tools and materials that you need. The practice space is your temple for learning guitar. If you live in a small room or apartment, your choices might be limited. But it is still a good idea to carve out a corner for yourself to practice in. This can help enforce the standards you have set for your daily amount of practice time. It can also help you to stay focused on practice if you are not in an area that has other uses. In this case, it is important to consider how the time of day might affect your practice. If you have neighbors who might complain about the noise, see if you can arrange your practice time with them. Perhaps you can practice after they have left for work, or before they have come back. If you have access to more space, or live in a house, you might be lucky enough to be able to create a dedicated area, or an entire room. Walk-in closets can make wonderful practice caves. You can even put all of your guitars in this room, and use a Acurite Hydrometer and Thermometer[? ]Affiliate Link and Dome Humidifier[? ]Affiliate Link to control the humidity. This is ideal, as merely being in such a room might provide the inspiration you need to practice. Although pushups require no equipment, it’s easier to do them in a proper gym than in a dark basement. If there is no place for you to practice at home, you still have options. 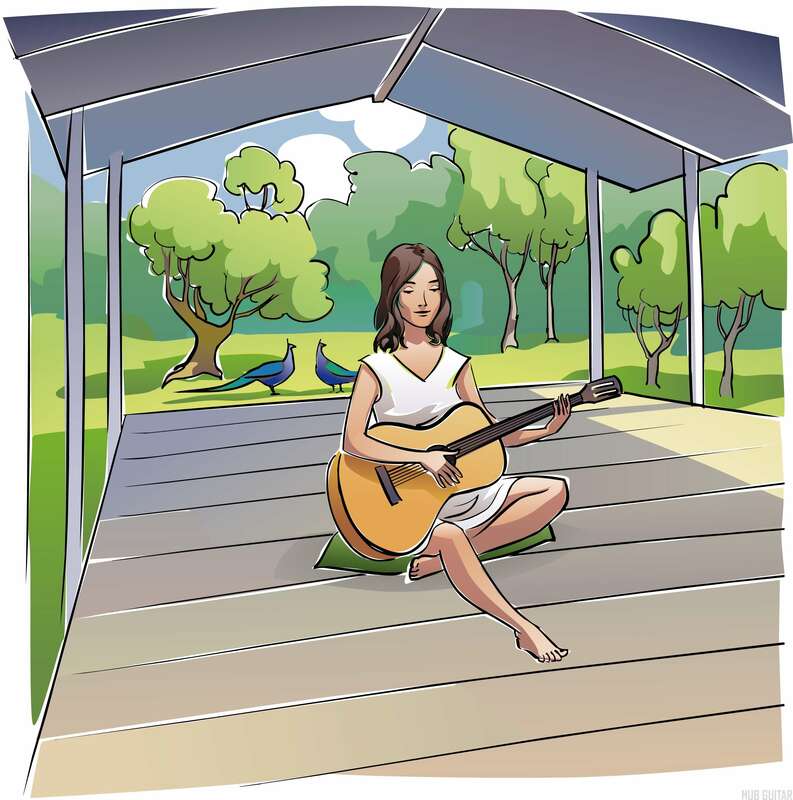 You can use a silent guitar and sit in any chair, so long as your practice sessions aren’t long. You might also be able to practice somewhere in your place of employment, or your school. Get creative. Set up your guitar practice area this week, and start reaping the rewards. Your practice space will help you to get in the habit of practicing regularly, practicing seriously, and practicing effectively.